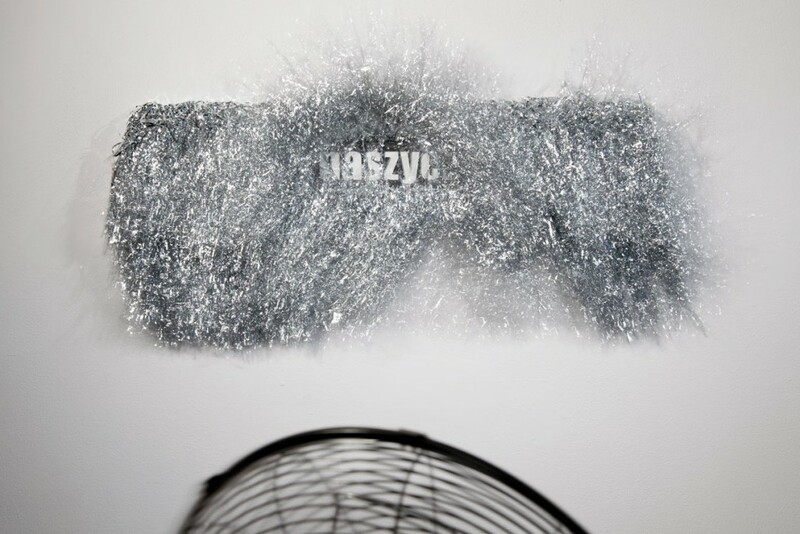 The air current produced by an industrial fan gently moves the glittering strips of metal foil, gradually exposing the words ›sleeping in our beds‹ in Polish. The words seem to be extracted from a sentence, which might have given a meaning and a distinct, maybe historical context. Who is sleeping in our beds? Who is ›we‹? And who are those, who have taken over what used to be ›ours‹ ? 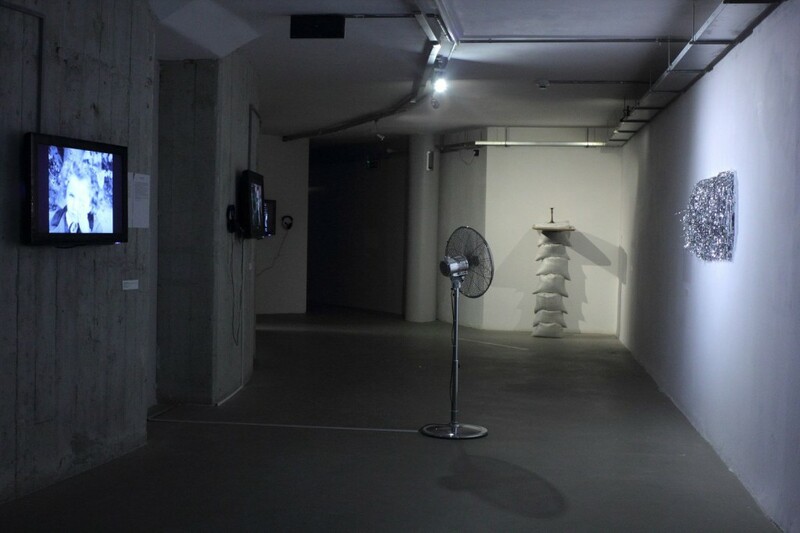 Detached from one concrete instant and experience from the past, they seem to evoke the painful experience of seeing one’s home and most intimate place of refuge being taken over by others as a recurrent theme in human history. An element of ongoing fear is evoked by the scenario, the words provisionally and rather barely covered by the cheap glitter of a present. It is a sense of the inappropriateness of human home-making and territoriality at the expense of others which remains with the beholder independently of his or her respective historical background. And, possibly, we are sleeping while something is going on that would require our attention. 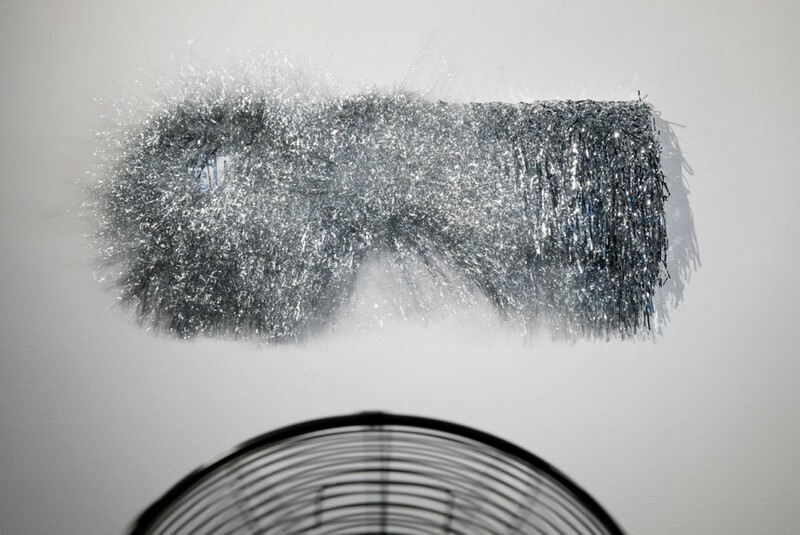 Yael Frank (*1982 in Tel Aviv), received her Master of Fine Art degree from the Bezalel academy in Jerusalem, and her Bachelor of Fine Art degree from The Cooper Union School of Science and Art in New York. She currently lives and works in Tel Aviv.